NOW AVAILABLE IN HEBREW. CLICK HERE FOR MORE DETAILS. 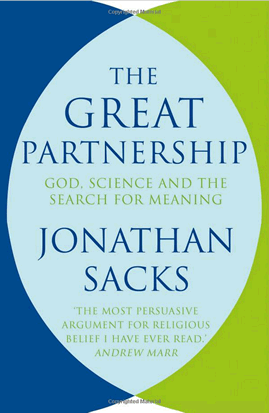 Writing with his usual grace and fluency, Jonathan Sacks moves beyond the tired arguments of militant atheists such as Dawkins and Hitchens, to explore how religion has always played a valuable part in human culture and far from being dismissed as redundant, must be allowed to temper and develop scientific understanding in order for us to be fully human. Ranging around the world to draw comparisons from different cultures, and delving deep into the history of language and of western civilisation, Jonathan Sacks shows how the predominance of science-oriented thinking is embedded deeply even in our religious understanding, and calls on us to recognise the centrality of relationship to true religion, and thus to see how this core value of relationship is essential if we are to avoid the natural tendency for science to rule our lives rather than fulfilling its promise to set us free.